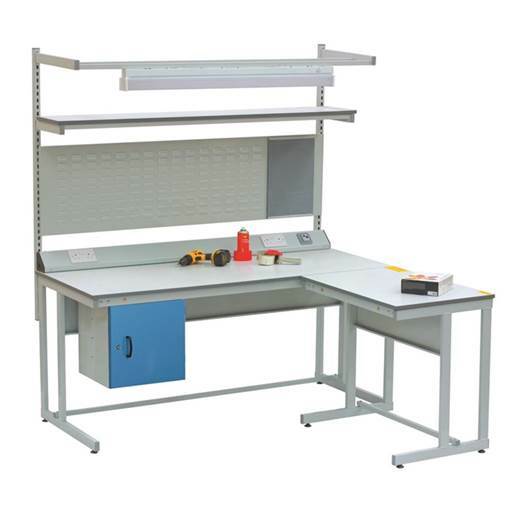 Workshop bench suitable for use in assembly, production & light engineering environments. Drawer sets come complete with central locking & have a load capacity of 50kg per drawer. Each drawer set can be fitted either on the left or right of the bench. Cupboard sets can only be positioned on the right hand side.